At the beginning in 2013 Hilda.Henri focused on liberating the erstwhile Alpine farming fabric milled loden from the context of traditional costumes, breathing new life into it with its fresh designs and giving it a fashionable focus. In the meantime the brand gives its special handwriting also to other precious fabrics like woven wool, silk, knit and linen. Hilda.Henri is always venturing to achieve the fine balance between traditional handcraft and modern refinement. Working with own fabric designs creates exciting contrasts and gives the collections an expressive, yet subtle artistic touch. Based in Vienna all collections are made from fabrics deeply rooted in the region, manufactured regionally, following the rules of a traditional handcraft. Hilda.Henri`s partners are old established family businesses with a longtime knowledge – settled in between the mountains and nature. 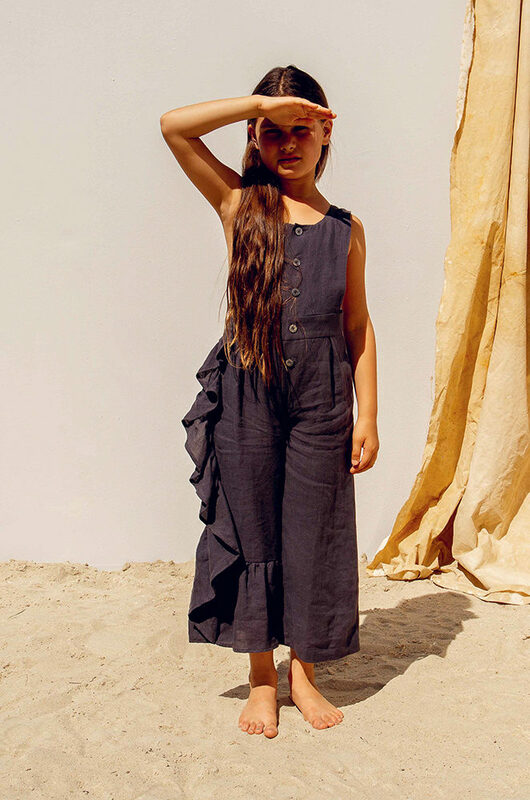 Hilda.Henri offers styles for kids and teens from 2 to 16 years, both girls and boys. The young label from Vienna goes its own way in many respects.